When you attend a webinar, do you want the training to include poll questions? Yes! Poll questions help me retain what I hear. It doesn't matter to me. I am neutral. No! They disrupt the flow or add no benefit. Have you ever wondered why a claim that seemed clearly covered was denied? Have you ever tried to convince someone that your reading of the policy was correct? Have you ever tried to help someone to get a claim covered when the adjuster denied coverage? 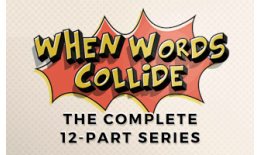 Join us as Bill Wilson walks us through his bestselling book, When Words Collide. You get to hear from Bill monthly all year and by the end of the year, you'll be a better insurance professional. This is a special Academy Event in 12 parts. Welcome to part 5! Join us as renowned insurance educator, author, and speaker, Bill Wilson, starts to walk us through his best selling book, "When Words Collide". In this session, he introduces certain skills that govern resolution of claims disputes. Sign up today for this session, or sign up here and get in on the WHOLE EVENT. This is a special Academy Event in 12 parts. Welcome to part 6! In this session, he helps us to understand the impact of proper claim declinations and reservation of rights letters. This is a special Academy Event in 12 parts. Welcome to part 7! In this session, he explains what he means by the RTFP Doctrine and why you must employ this whenever reading a policy. 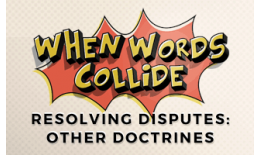 In this session, he demonstrates how different policy interpretation doctrines aid in resolving coverage disputes. This is a special Academy Event in 12 parts. Welcome to part 9! In this session, he introduces the idea of documenting a conversation about claims disputes. This is a special Academy Event in 12 parts. Welcome to part 10! In this session, he continues to explain the legal principles the underlie the need to maintain proper documentation. This is a special Academy Event in 12 parts. Welcome to part 11! In this session, he completes his discussion on the legal principles that underlie the claim dispute process. This is a special Academy Event in 12 parts. This is it! The LAST Session! In this session, he wraps up the whole conversation by helping us to have the claims appeal conversation. Copyright © 2016 Wells Media Group, Inc. All rights reserved.